Many people have looked over the chapter list for "20 Decisive Battles" and challenged some of the "selections." Such as why did the authors choose the Battle of the Metaurus in the 2nd Punic War, instead of the much larger Cannae, or the more well-known "final" battle at Zama? 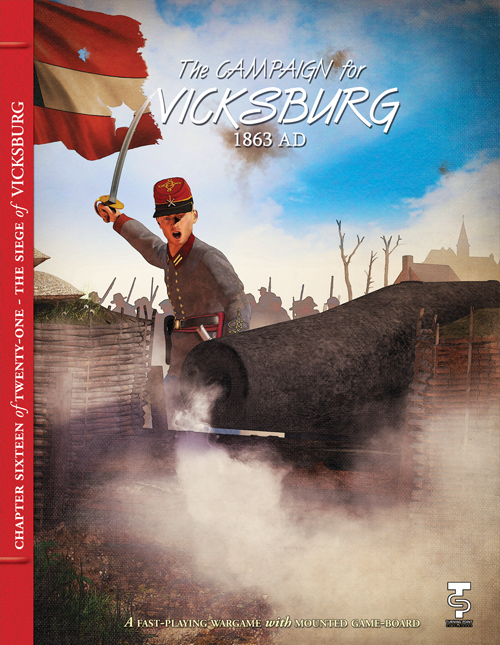 And, for the same reasons, how could they choose Vicksburg as the single most important campaign of the American Civil War over the larger, better known Gettysburg, or the final round-up that lead to Appomattox? The answer to all these questions is the book's focus on DECISIVE battles...on key actions which made all the difference to the final outcome, even if years away from the end. By that standard, Vicksburg is an easy choice... as the words of both presidents indicate. Vicksburg was the key. Holding it meant "holding the South together," with access to all the Confederacy's western men, food, horses, supplies... and Mexican ports. Holding it also meant the Mississippi River could not be used by the Union for transporting troops, supplies, and exported goods from the Midwest. The longer Vicksburg stood, the more would farmers and businesses in half the country be hurt by the war. Can you, as the Federal forces, match U.S. Grant's finest campaign? He crossed a river, marched without supply lines and won five battles, captured and sacked a state capital, and then lay siege and captured one of the best-defended spots on earth. 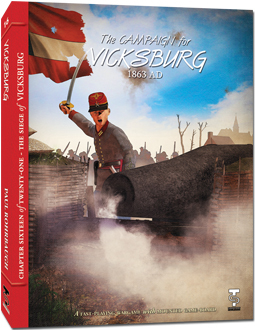 Can you, commanding the theater forces for the Confederacy gather your scattered troops and disjointed commands and create a force strong enough to launch powerful attacks? Can you punish Grant for his audacity? Can you make it appear that Pemberton and Johnston are fighting for the same side? 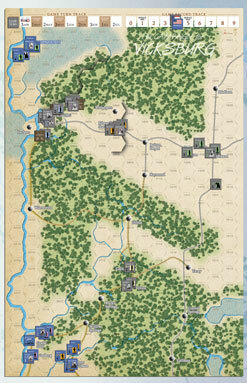 You decide, in this great new game from veteran designer Paul Rohrbaugh. 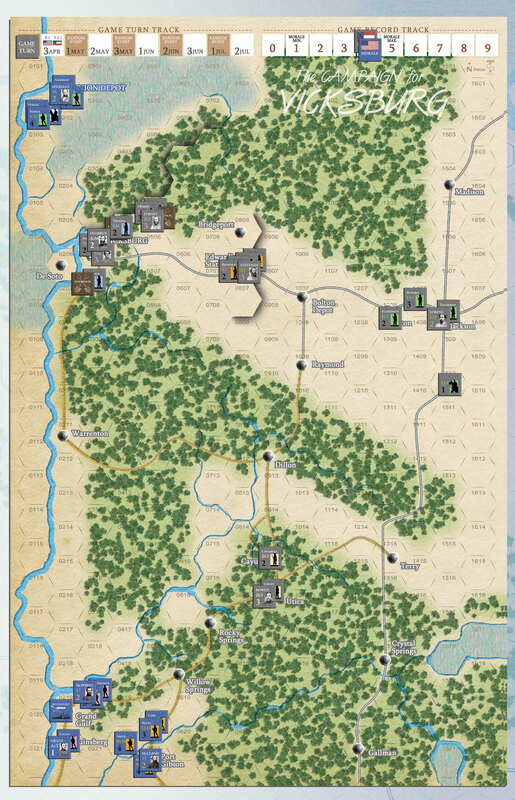 The entire sweep and scope of the campaign is included, from Grant's Crossing at Bruinsburg to the finale (or not). 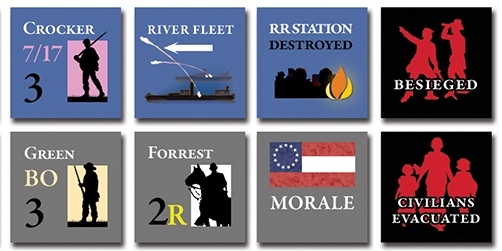 Interesting side stories are also part of the picture, like Grierson's Raid, the ironclad CSS Arkansas, and "that devil Forrest" and his part--or not-- in the grand campaign. Vicksburg was the key. Can you put that key in your pocket or deny it to the enemy?